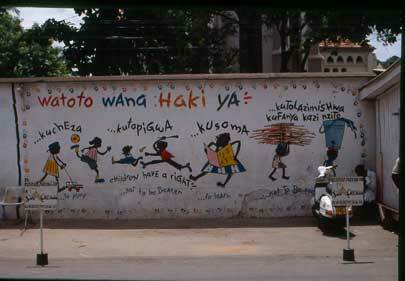 Kiswahili. Dar es Salaam: IKR. 1987. 54/1+2. p. 77. 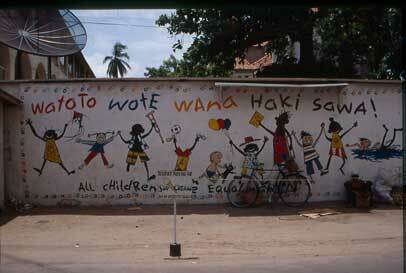 The graffiti "Watoto wana haki ya ..." and "Watoto wote wana haki sawa" on a compound wall of St. Joseph's Cathedral, Dar es Salaam were photographed by Lourenco Noronha in February 1997.